Till now we have always thought of mosquitoes as pesky small insects. But do you know some mosquitoes can grow up to the size of 12.7 to 25.44mm? There are some mosquito species that can grow to an enormous size. Let’s look at some mosquito breeds that are larger than common mosquitoes we are used to seeing around. What are some large size mosquito species? The largest mosquito species known is the Gallinipper which is around 1-inches long. 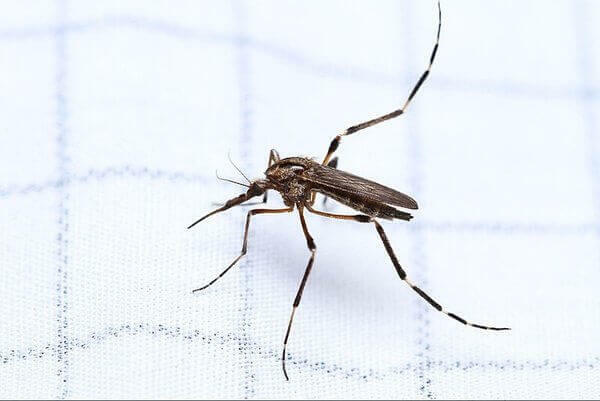 The Gallinipper mosquito can bite through clothing and it drinks a comparatively large amount of blood in a single bite. The worst thing is that it feeds during day and night which makes things worse. The Aedes Aegypti mosquito species grows up to 7mm long and it is one of the mosquito species found in Singapore. It is a carrier of the dreadful Zika virus which is known to cause human deaths. The Anopheles mosquito which is found globally grows to the size of 5mm and known to be the main carrier of the malaria parasite. There is no doubt being bitten by a larger mosquito is more painful and deadlier and you should take necessary steps to protect yourself and your family from these dreadful pests. No matter how big the mosquitoes are, the rules of mosquito protection remain the same. Mosquito repellents are effective in keeping mosquitoes of all sizes away from you. For those who don’t know, repellents does not kill mosquitoes; it prevents mosquitoes from detecting your presence. The result is mosquitoes just fly past you like you are invisible and never try to bite you as they cannot detect your presence. Mosquito repellent are temporary but effective solutions but the efficacy of mosquito repellent decreases with time after application. According to mosquito control experts, the effect of top-rated mosquito repellent remains for 7 hours or less and if you see mosquitoes biting you again, you can reach to the conclusion it’s time to apply mosquito repellent again.